Find more tips to assist aging relatives at gatherasyougo.com. Caregivers often lose themselves in providing care. Remember ? you have rights too. Post this Bill of Rights where you can see it to remind yourself of your value. You have the right to receive the knowledge, resources, training and support you need to be successful as a caregiver. You have the right to acknowledge your own needs and to expect those needs to be met. You have the right to enjoy a well-rounded and meaningful life that includes family, friends, work, activities you love and time to yourself. You have the right to seek and accept help from community, family, friends and support services. You have the right to access quality services that treat you and the person you are caring for with dignity and consideration. You have the right to all of your feelings as a caregiver, from the moments of unexpected joy to those of anger and frustration. You have the right to be a part of a caregiving team rather than having to do it all by yourself. You have the right to ask for ? and receive ? appreciation and respect for your caregiving. You have the right to acknowledge that the unique gift of your time, energy and emotions has as much value as any caregiving task. By asking for help before reaching a crisis point, caregivers can head off feelings of frustration and resentment. 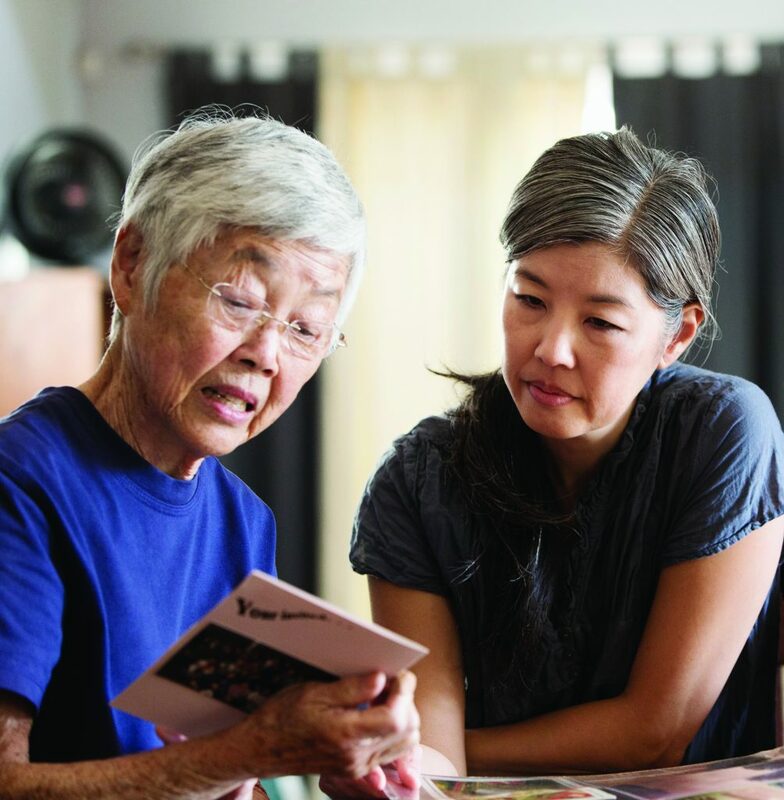 Organizing caregiving meetings is one way to ensure that help is available on a regular basis. Knowing when to ask for help is just as important as acknowledging that you do need help. Too often, caregivers wait until they are at the end of their rope before seeking assistance. Waiting too long can cause you to unconsciously phrase your requests as demands, allowing pent up feelings of frustration and anger to surface unexpectedly. The person you have finally asked for help may react to your emotions and not respond as you had hoped. Unfortunately, this can push caregivers back into a negative cycle of resisting help and then resentment builds up even further. Many caregivers have vowed never to ask for help again, when if they had only asked for help a little earlier, things could have gone more smoothly. So to reiterate?it is important to know when to ask for help. Do Not Wait for a Crisis to Ask for Help! Have regular meetings. Ideally, you should have regular meetings with all the people involved in a senior’s care. Regular meetings ensure that people have an opportunity to discuss their needs and any other issues they may have. It is important that people know that they will have the opportunity to be heard. This lessens anxiety and gives people a chance to talk about concerns before they become issues. During these meetings, people can discuss their needs and responsibilities. Caregivers can bring up items that need to be addressed, identify days that they need help, and just generally solicit assistance. Participants can make a caregiving schedule to ensure that everybody understands their responsibilities and that all the pieces fall into place. Involving the elderly person in the process of gathering information will increase their willingness to accept change and to improve their situation. Allow them to make choices whenever possible, and provide them with the information they need to make a good decision. Let them decide which issues to address first. Remind them that you are available to assist them with these important issues but that they have control over the final decision. Write out an itemized list of all the things you need to do, and clarify your objectives. Then, review the list one item at a time. Don’t become overwhelmed by trying to do everything at once. Remember that information gathering and organization are the first steps. Go over the items with the elderly person and ask them questions directly. Allow time for reflection and listening. For instance, the gathering of marriage documents may evoke memories of their wedding day. This can be a good opportunity to learn about the life of the person you are caring for. Don’t get so caught up in the information-gathering process that you miss a chance to reminisce. Never try to talk someone out of their feelings. Acknowledge any fears or anxieties an elderly person may have regarding sensitive topics such as financial issues. Don’t deny the reality of their fears or concerns; instead, allow them to express them and move on. Skip over difficult items and return to them later. Don’t become stymied by one item. If information is unavailable or refused, move on to the next item. Begin with the easy items ? those that are obvious and not emotionally heavy. Be willing to compromise. Perhaps you are working with your parents and they don’t feel comfortable sharing certain financial information with you. Let them choose a mediator or agent to whom they can entrust this information. You can work with the mediator if necessary. Explain the reason for each question asked. For example, if you ask for access an elderly person’s financial accounts, explain that it is a precautionary measure in case they are unable to pay their own bills. Explain their rights, and give them options. Many seniors fear the loss of their independence and will feel more in control if they know their rights and options. Introduce them to attorneys who can explain their legal rights and other professionals who can offer them guidance. Most people who provide care for a friend or family member don?t think of themselves as a caregiver. Drive a family member, friend or neighbor to doctor?s appointments? Help someone with household chores such as cleaning, grocery shopping, lawn care, etc? Make regular phone calls to someone to ?check in? on them? Provide hands-on care, including bathing, help eating, toileting, or other help? Help someone make decisions about medical decisions? Assist someone with personal business affairs, such as bill paying? Are you managing Mom and Dad?s checkbook or paying their bills? Do you go grocery shopping for an older family member or friend? Do you miss work to care for your parents or spouse? Are you under a great amount of stress due to the needs of your aging parents? Are you caring for both your parents and young children? Are you worried about an older family member who lives in another city? Are you neglecting your needs to meet the needs of others? If you answered yes to one or more of these questions you may be a caregiver. Caregivers provide support to someone who needs help. It doesn’t matter how many hours per week are spent providing support. Caregivers may live with the person they are caring for, providing assistance with daily needs, or may visit the person weekly or call regularly. Being a caregiver involves an investment in time, energy and support.